China is wonderful. I have my Nana’s china and I drag it out for Thanksgiving and New Year’s Eve. I also have the Spode Christmas Tree pattern that I use for the whole month of Dec. Granny started me on that. 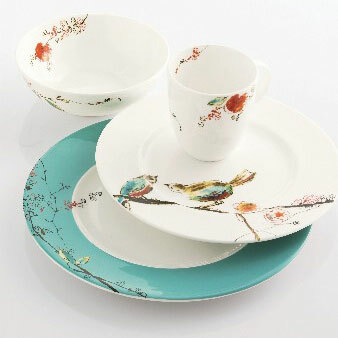 I think she always wanted a set of Holiday China. 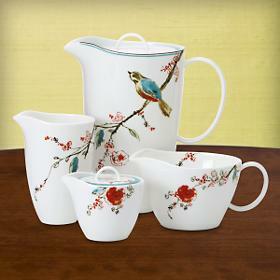 Even while I think about downsizing the china will never go. Go ahead and use it for the barb- b- que. It’s more green. Aunt Beth – thank you so much for your comment. I didn’t know that Nanna had china, but it totally fits the way my dad always describes her. I love holiday china. My good friend Lexie has a set of holiday china and I love how special it makes that time of year feel. Go for the china! If it makes you smile every time you look at it, it’s worth every penny. So true Annie! It’s the little things right?